In the software and application development space there is a shortage of developers particularly in the UK where the digital economy is growing exponentially and in-house development is back in fashion. Here, demand for developers is accelerating with rising salaries and increases in the number of vacancies. While firms look to up their efforts and investment in sourcing the talent required to sustain their business growth, IT project delays continue to be reported with IT request backlogs growing at a rate of 10 to 20% per year. In order to overcome a depleted skills base, IT departments will need to take a different approach. 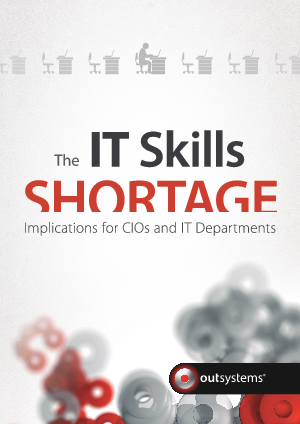 This whitepaper examines the scale and complexity of the IT skills issue, focusing on specific areas within IT departments where the skills issue will impact most, particularly around application development. The paper also considers a number of approaches that IT departments and the operations team can take to overcome these challenges in light of a shortage of application development talent.